Eleven new pioneers join the Pioneer Obituary Index this month. They include a couple of politicians, a female publican, and a published writer. Once again, they all bring great stories from the Western District’s past. Remember to click on any underlined text to find further information about a subject. Thomas was a grain grower initially before turning to mixed farming. Along with sheep, he bred Neapolitan and Berkshire pigs. He was also widely known as a breeder of Timor ponies. Thomas began his civic life on the roads board, later becoming the Dundas Shire. In 1874, Thomas offered himself as a candidate for the seat of Western Province in the Upper House of the Victorian Parliament and was successful. Thomas was a committee member of the Hamilton Racing Club. 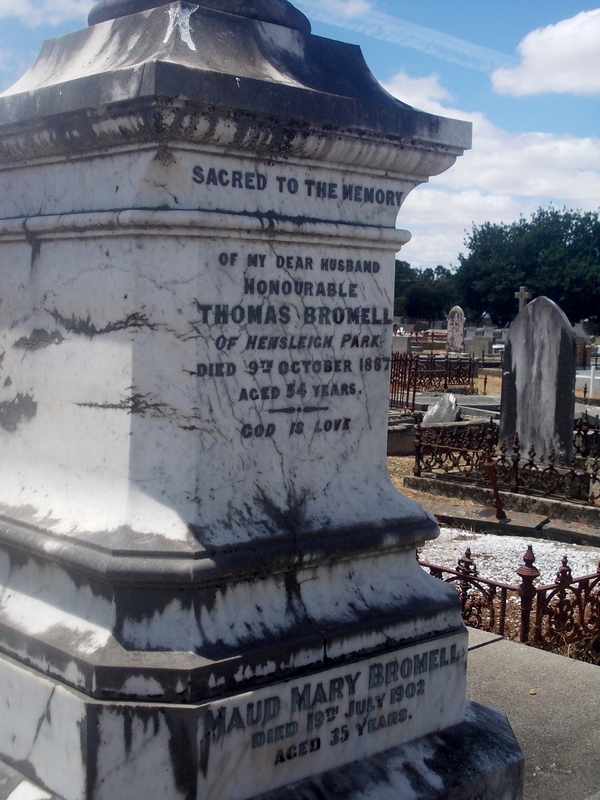 The Bromells went on to have seven daughters and just one son who took over the running of Hensley Park in Thomas’s later years. 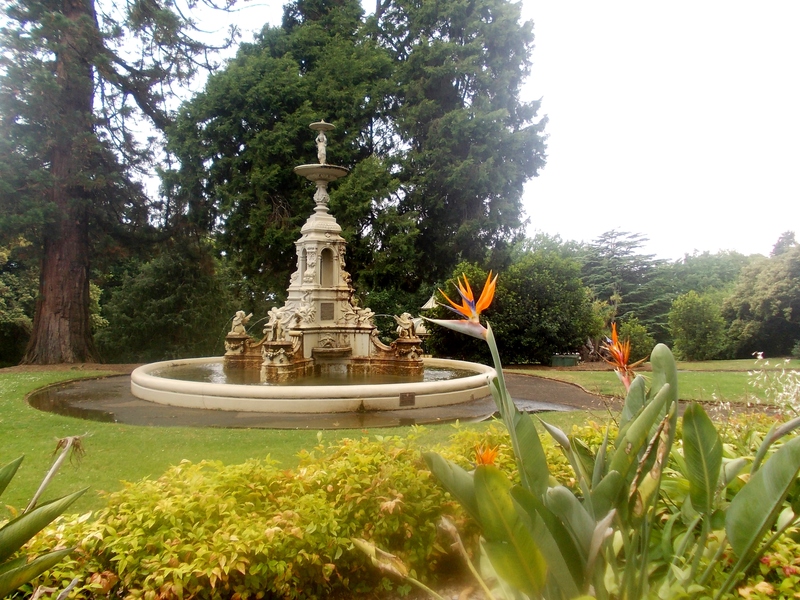 Thomas died suddenly at the Union Club Hotel, Melbourne aged fifty-four. His body was returned to Hamilton and buried at the Hamilton (Old) Cemetery (below). 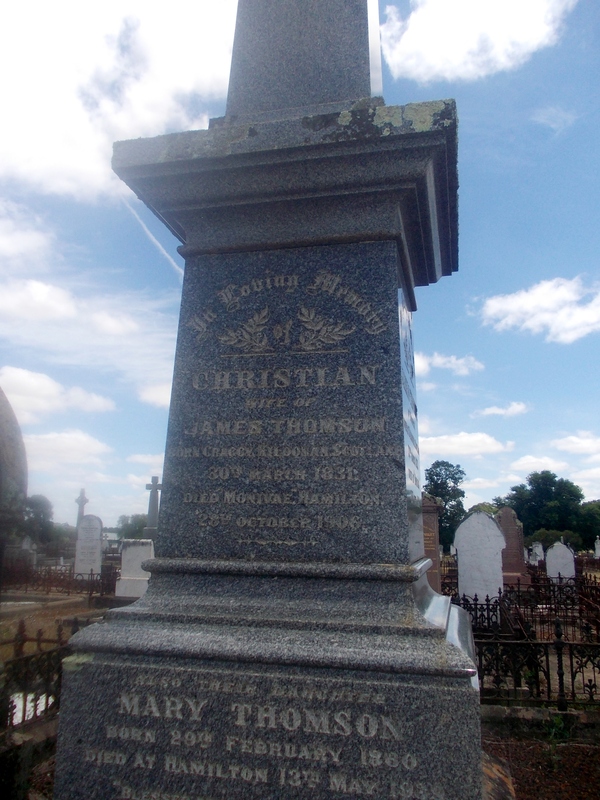 ARMSTRONG, Christian – Died 24 October 1906 at Hamilton. Christian Armstrong was born at Kildonan, Scotland in 1831. She married James Thomson in 1852 and arrived in Victoria on the Europa with James and her brother Alexander Armstrong. 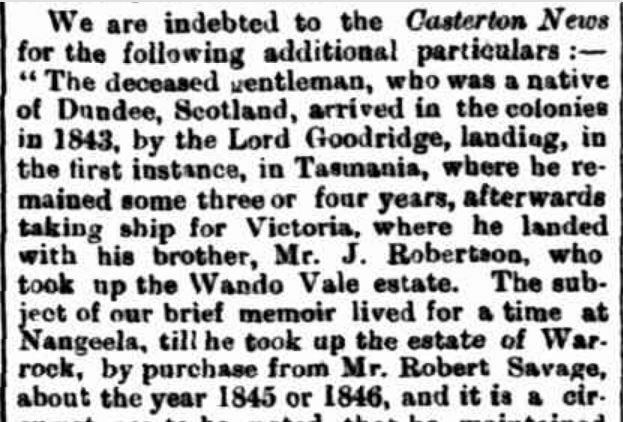 Alexander purchased Warrambeen at Shelford while James worked at Golf Hill Station next door for the Clyde Company. Christian and James’ first child John was born there in 1853. By about 1857, James purchased an interest in the Ullswater and Maryvale Stations near Edenhope and they moved to the later property. 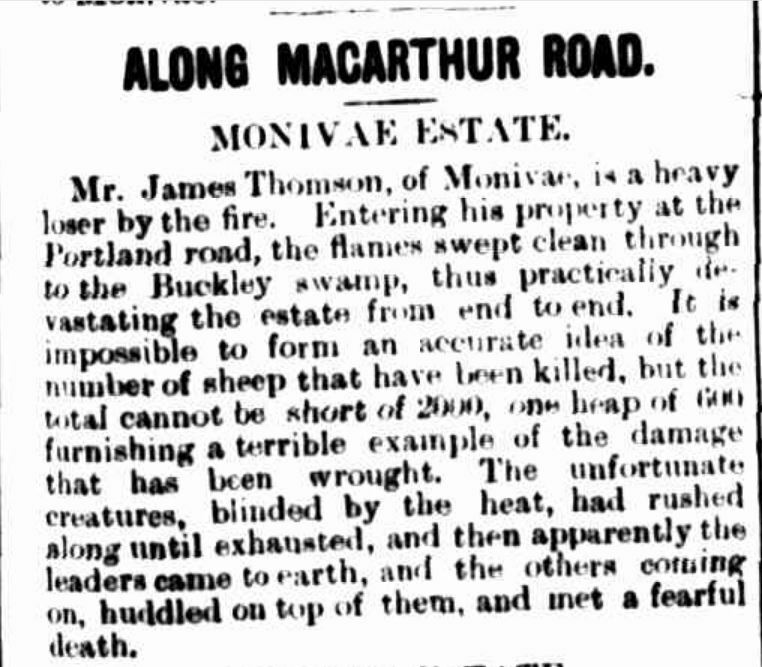 In 1870, James purchased Monivae from the estate of Acheson Ffrench. By then there were seven Thomson children. Twins were born in the year after their arrival at Monivae and a girl Jessie in 1873. 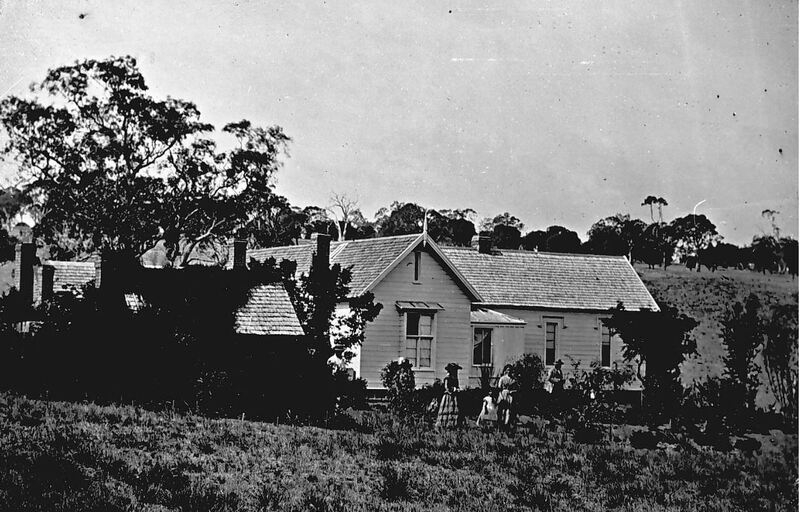 Sadly Jessie died in 1875, In 1877, a new homestead was built (below), to accommodate the large family. 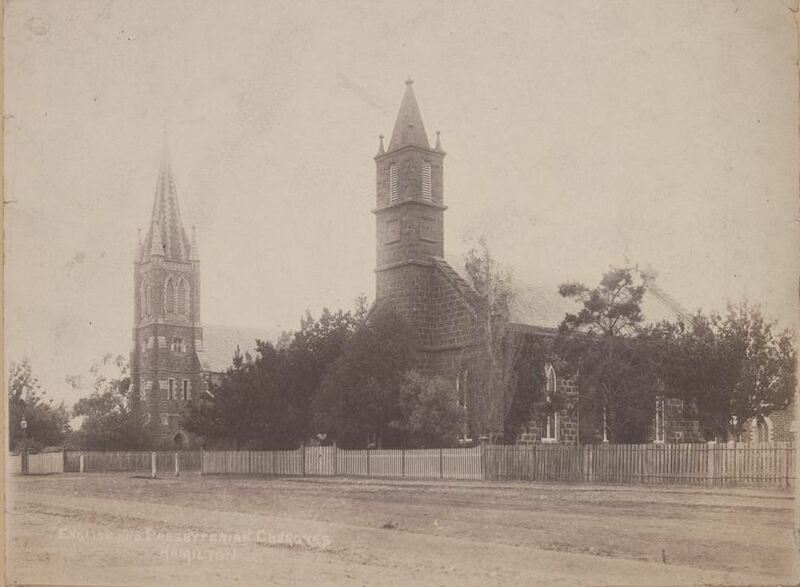 On 4 June 1889, one of Christian’s twins, George died suddenly at Monivae, from heart trouble he’d suffered from birth. A deeply religious and charitable woman, Christian was one of the fundraising champions of the town and attended St Andrew’s Presbyterian Church like clockwork “morning and night”. Everyone knew her pew. A full member of the church for thirty-six years, her name was added to the church roll on 4 October 1870. Christian was also a member of the Ladies Benevolent Society and the British and Foreign Bible Society. She managed to attend church until just a couple of weeks before her death. 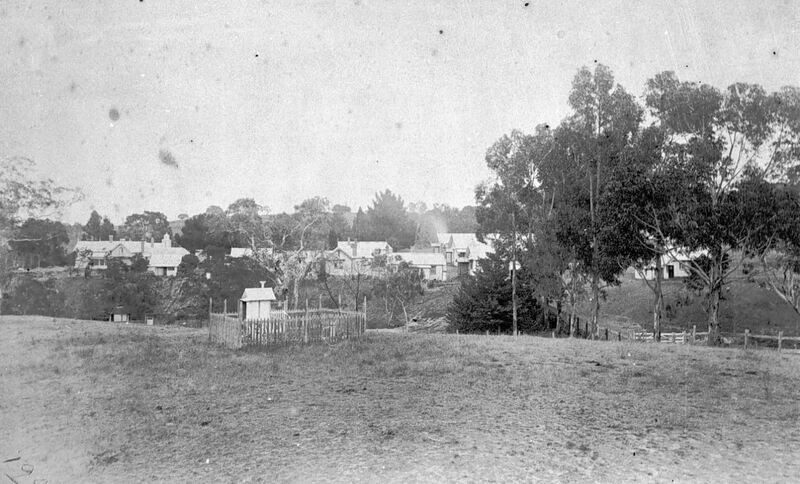 Christian died at Monivae at 8.20am on 24 October 1906 and was buried at the Hamilton (Old) Cemetery (below). 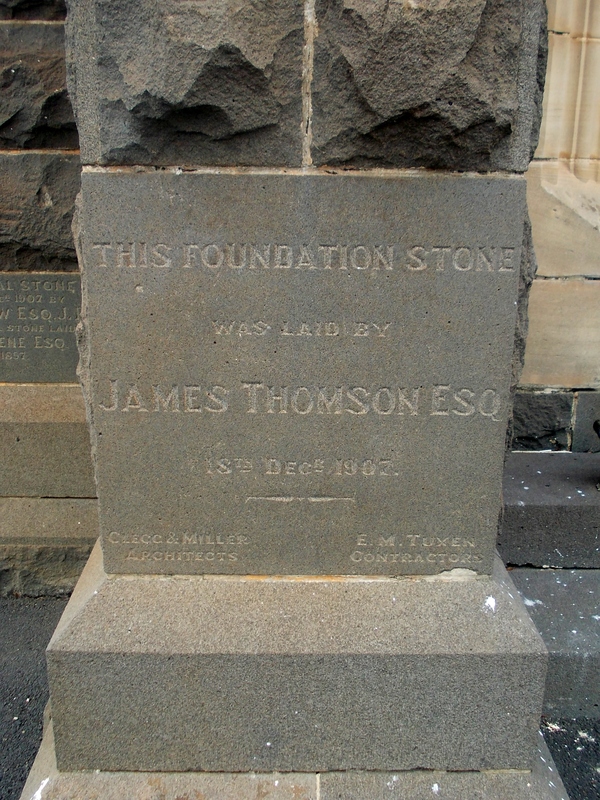 The year after Christian’s death, James Thomson lay the foundation stone for a new Presbyterian Church at Hamilton. 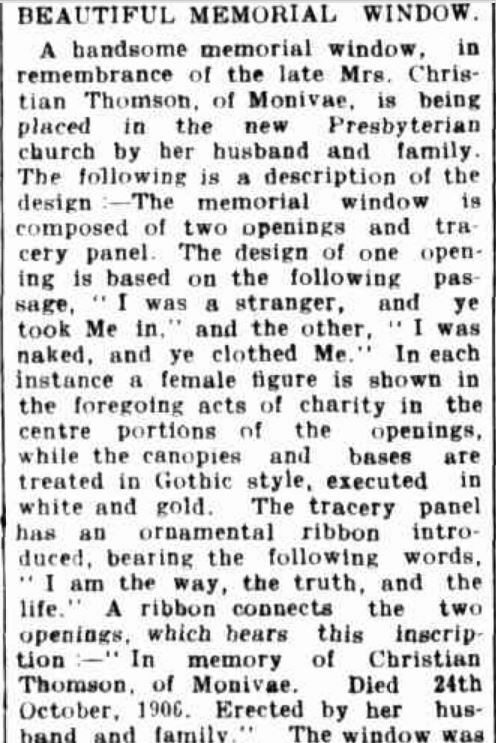 He later donated a memorial window for the new church in remembrance of Christian. You can read more about the Thomson family of Monivae on the link – Strong in Faith…A Story of Monivae Estate. 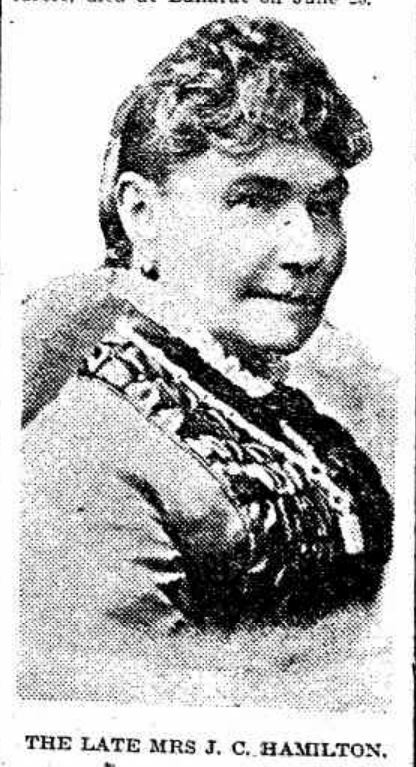 McKINNON, Anne – Died 7 October 1914 at Noorat. Anne McKinnon was born around 1825 at Inverness, Scotland. 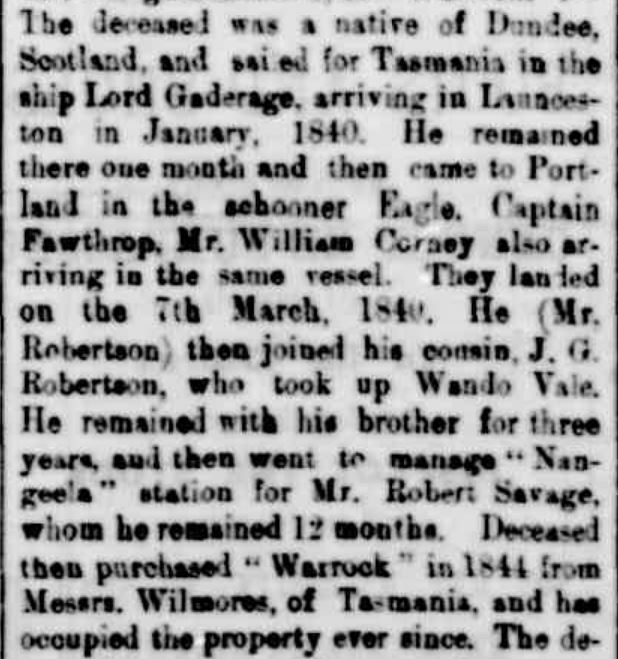 She arrived in Victoria with her parents and siblings in 1852 aboard the Chance to Port Fairy. In 1854, Anne married Charles Podger. 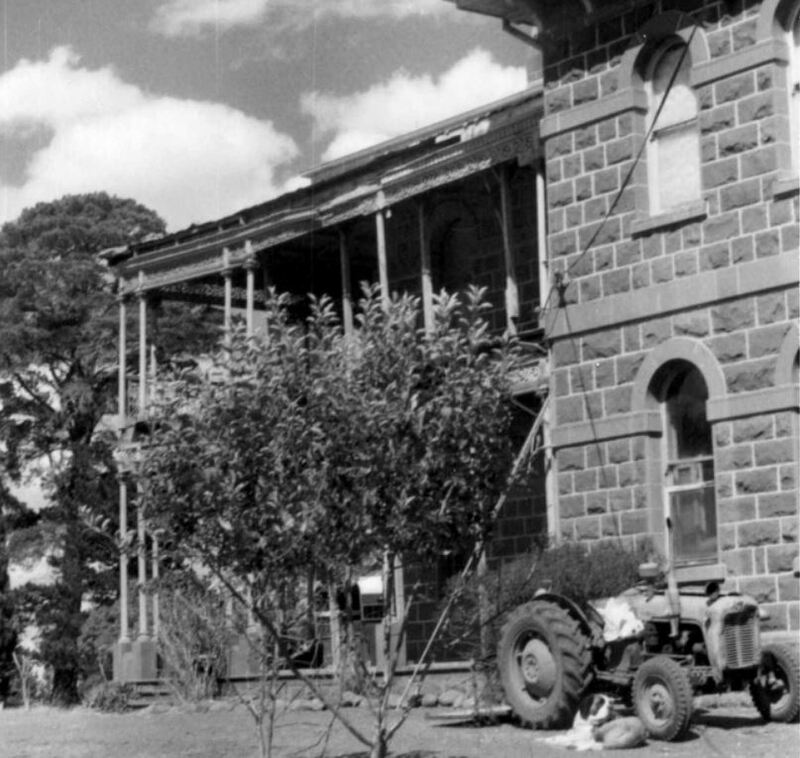 Anne and Charles spent the early years of their marriage at Mount Fyans near Darlington before Charles selected at Kolora, naming the property Werrook. Anne and Charles had six children, three sons and three daughters. 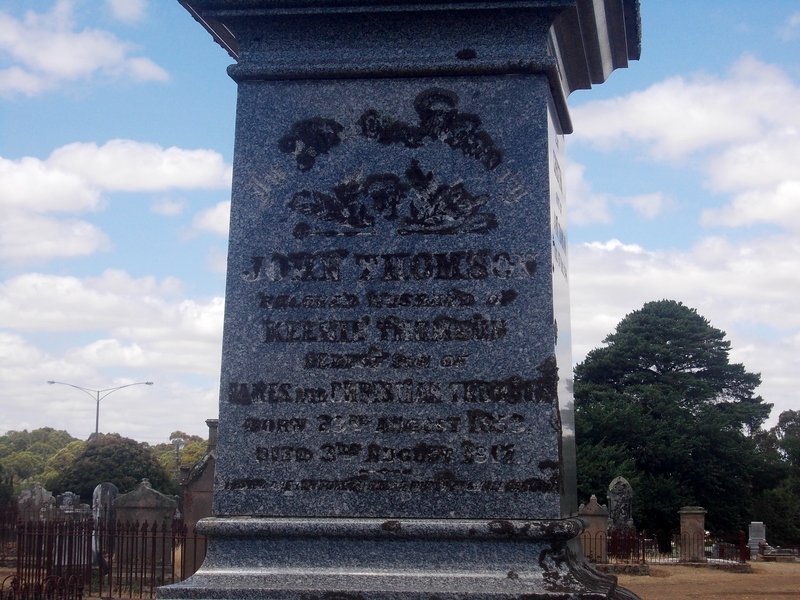 Anne was buried at Terang Cemetery. BEGG, William – Died 9 October 1915 at Branxholme. William Begg was born in Scotland around 1840 and arrived in Australia in 1855 aboard the Nashwauk. His arrival was exciting and dangerous as the Nashwauk wrecked off the South Australian coast at Moana. 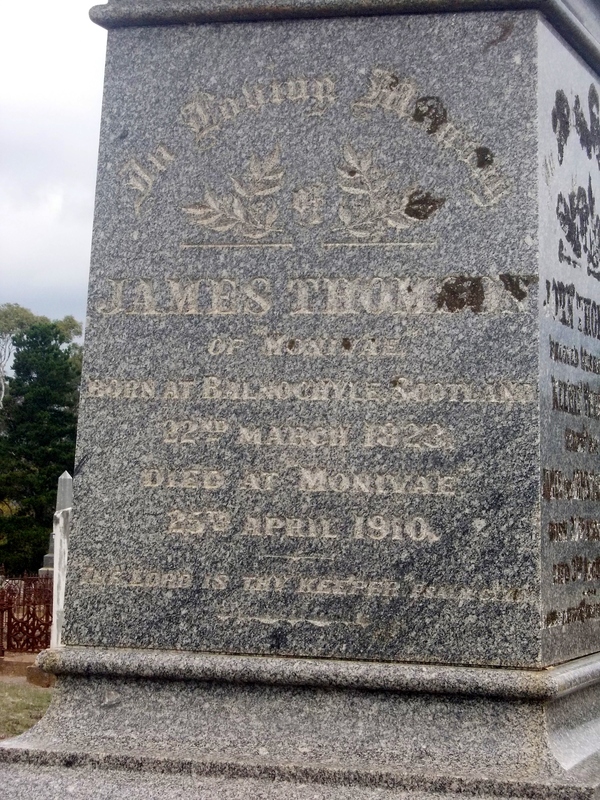 Surviving the wreck, the family settled in South Australia and William worked as a baker. Around 1865, William’s parents selected land next to Morven Estate near Branxholme and he moved with them. The property was called Fontus and William took over the property after his father’s death. William was involved in the Branxholme Rifle Club and was captain for around twenty years. He always thought he was lucky to be alive after his perilous arrival on Australian soil. “”YATHONG” PATRIOTIC FETE.” Punch (Melbourne, Vic. : 1900 – 1918; 1925) 11 November 1915: 18. Web. 24 Oct 2017 . William never married and lived with his mother who died only three years before him. He spent his last year living with his sister Mrs Agnes Gough at Royston, Branxholme (below). LAYH, Carl – Died 2 October 1917 at Brighton. 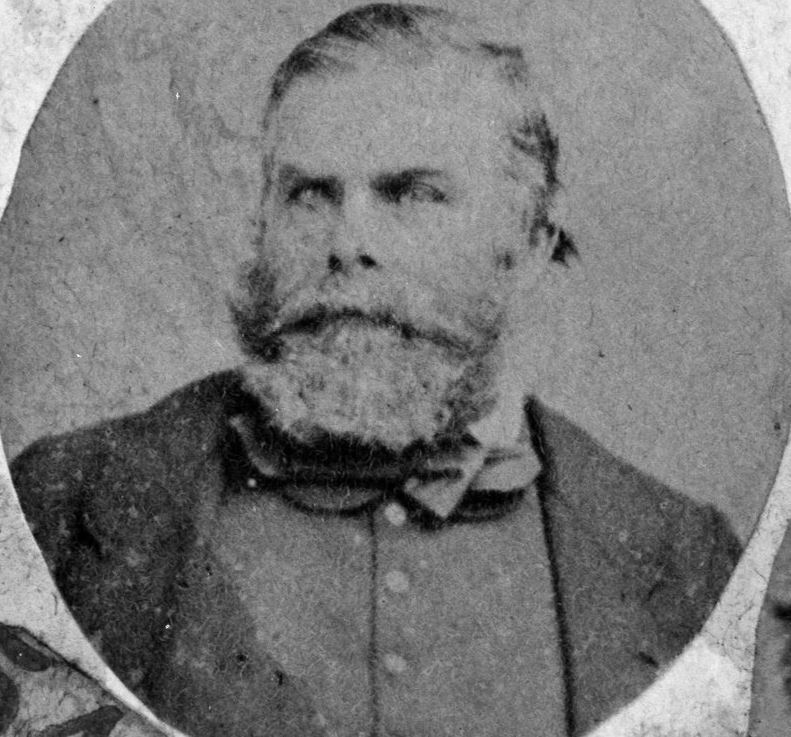 Carl Layh was born in Germany around 1837 and arrived in Australia from Liverpool, England in 1859 aboard the Florence Nightingale and headed to the Ballarat diggings. There only briefly, he moved on to Geelong to work for Sander’s tobacconist in Malop Street. Around 1862, Carl moved to Hamilton and opened a tobacconist shop in partnership with Sanders. Located in Gray Street opposite the Victoria Hotel, it went under the name Sanders, Layh and Co.
On 10 June 1863, twenty-seven-year-old Carl married seventeen-year-old Jane Emma Remfrey. 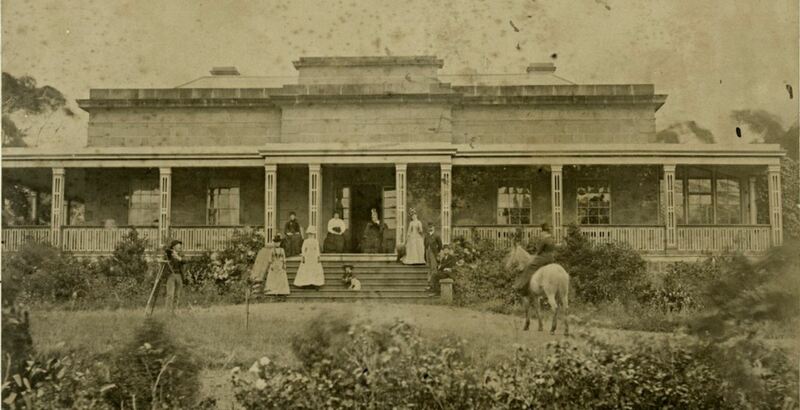 The wedding took place at the Remfrey family home conducted by a Wesleyan minister. 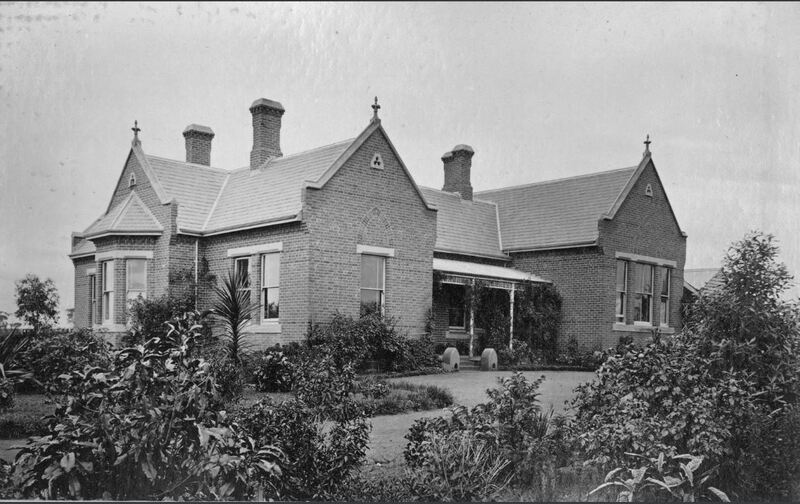 Making a career change about 1870, Carl and Jane moved to Burnt Creek near Horsham and opened a school. 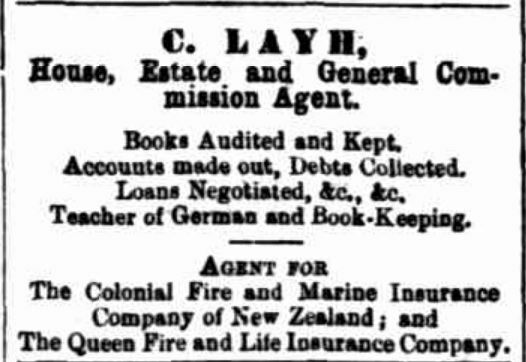 Carl and his family returned to Hamilton in 1878 and Carl opened an accountancy and commission agents firm and the Western District Labour Mart also known as Layh’s Labour Mart. Jane also worked in the business. 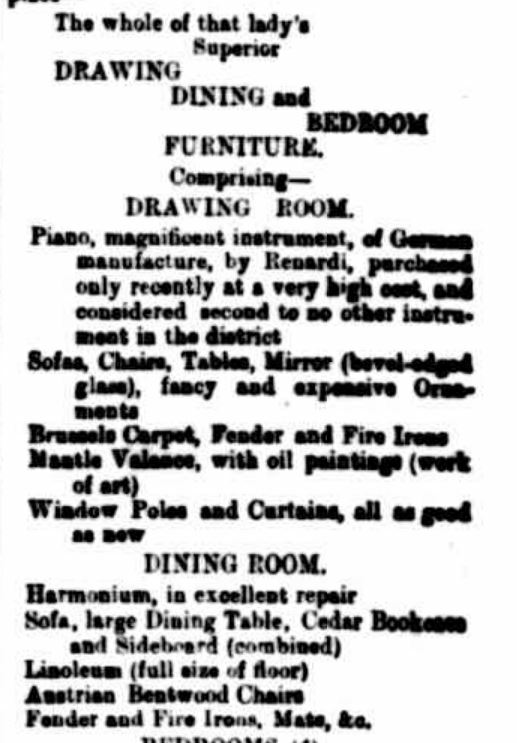 “Advertising” Hamilton Spectator (Vic. : 1870 – 1918) 13 March 1879: 1. Web. 28 Oct 2017 <http://nla.gov.au/nla.news-article226053797&gt;. For twenty-seven years Carl was on the staff of the Hamilton Spectator as a reporter and he also contributed to the Daily Telegraph, The Age, The Argus and Herald. He retired from his work at the Spectator in 1909. 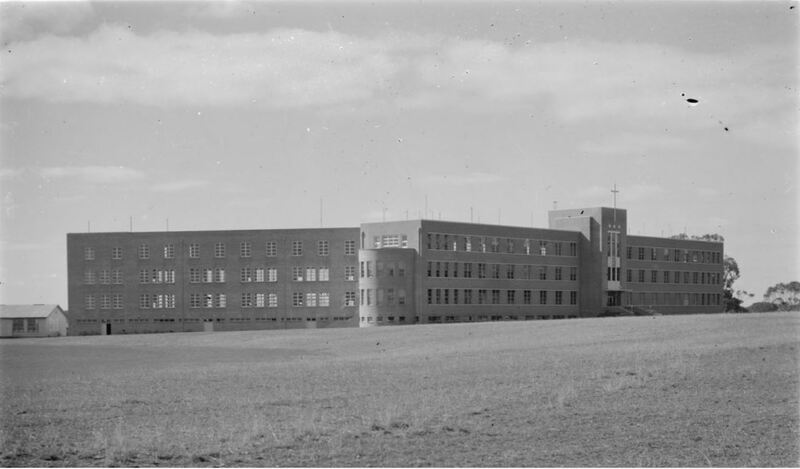 He also taught German at the Western District Academy, Hamilton (below) and privately. Carl was also a member of the Grange Lodge from 1864. Carl and his wife had five sons and one daughter and lived in Gray Street, Hamilton. On 10 June 1913, Carl and Jane celebrated their Golden Wedding Anniversary. With a son serving overseas, in 1915, Jane Layh unveiled a memorial tablet at the Hamilton State School for past students who had enlisted for WW1. Their son, Herbert Thomas Christoph Layh who began the war as a Lieutenant in “Pompey” Elliot’s 7th Battalion, was awarded a Distinguished Service Order in 1916 and appointed a Companion of the Order of St Michael and St George in 1919. Ill health forced Carl to retire from his labour mart and he and Jane moved Melbourne to live with their sons. Carl died in 1917 aged eighty. At the timeof his death, He and Jane had twenty-five grandchildren. Jane died in Brighton in 1931 aged eighty-four. HOWELL, William – Died 7 October 1917 at Hamilton. William Howell lived at Coleford in Milton Street, Hamilton, his home named after the town where he was born in Gloucestershire in 1844. 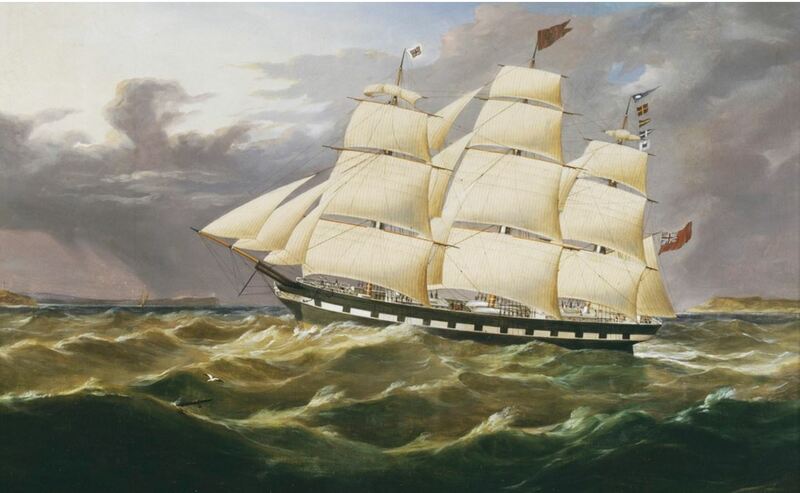 William arrived in Victoria aboard the Great Victoria, his twentieth birthday passing during the voyage. 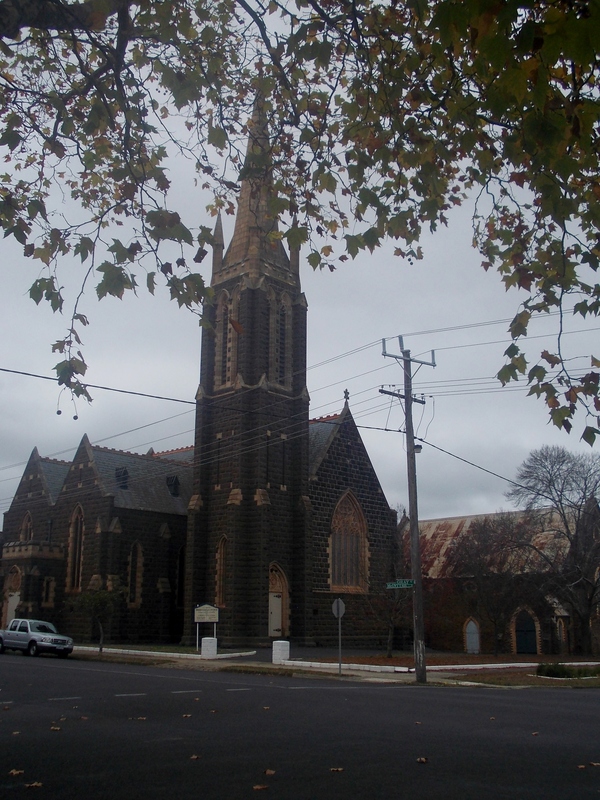 He first went to Murghebolac near Geelong, staying for twelve years before moving to Hamilton. There he worked in partnership with Robert Coulter at Coulter and Howell Monumental Masons, from around 1878 first in Brown and then in Pope Street. “Advertising” Hamilton Spectator (Vic. : 1870 – 1918) 15 April 1882: 4. Web. 28 Oct 2017 <http://nla.gov.au/nla.news-article226064020&gt;. 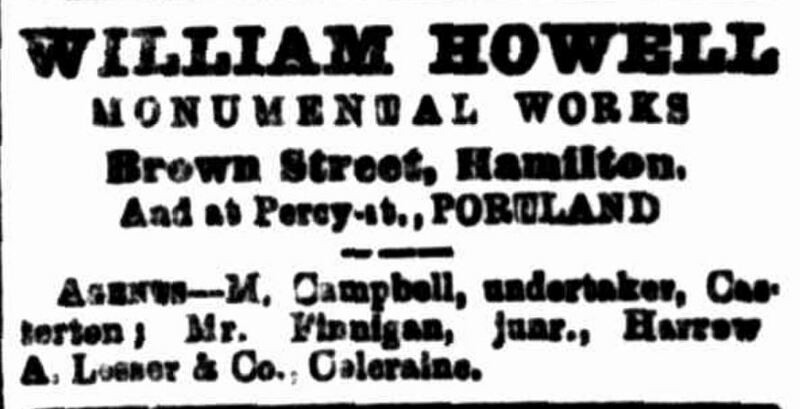 William later set up his own business in Brown Street with branches in Portland and Casterton. “Advertising” Hamilton Spectator (Vic. : 1870 – 1918) 3 August 1909: 1. Web. 28 Oct 2017 <http://nla.gov.au/nla.news-article225047867&gt;. 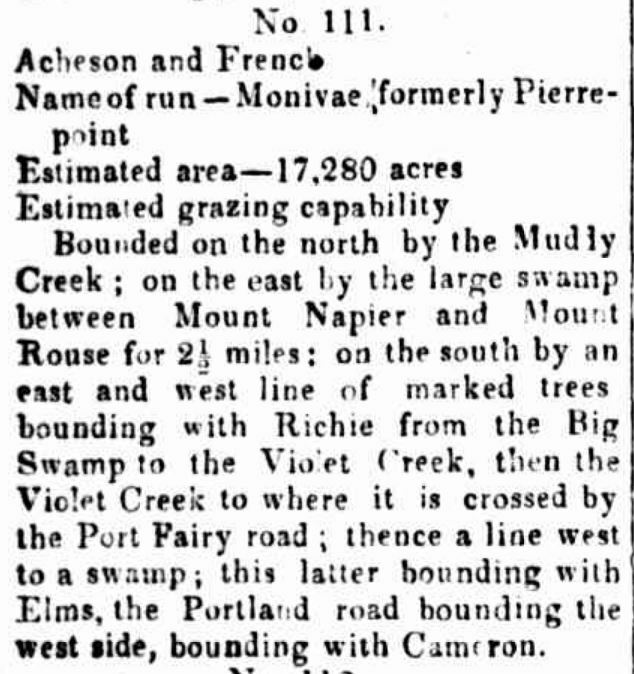 In 1880, William selected land at Marney’s Swamp, north-west of Dunkeld. In 1889 at the age of fifty-four, William married thirty-one-year-old Mary Ann Taylor. They had no children. 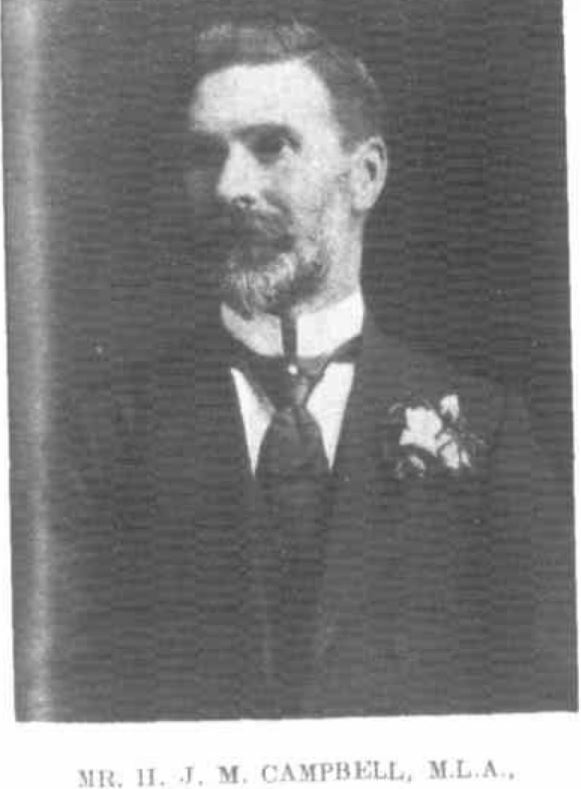 William was a member of the Rechabite Lodge, the YMCA, was a trustee of the Temperance Hall, and a playing member of the Hamilton Bowling Club. Mary Ann lived another thirty-three years after William and died at Hamilton in 1950 aged ninety-two. HICKMER, Sarah Ann – Died 16 October 1918 at Muddy Creek. 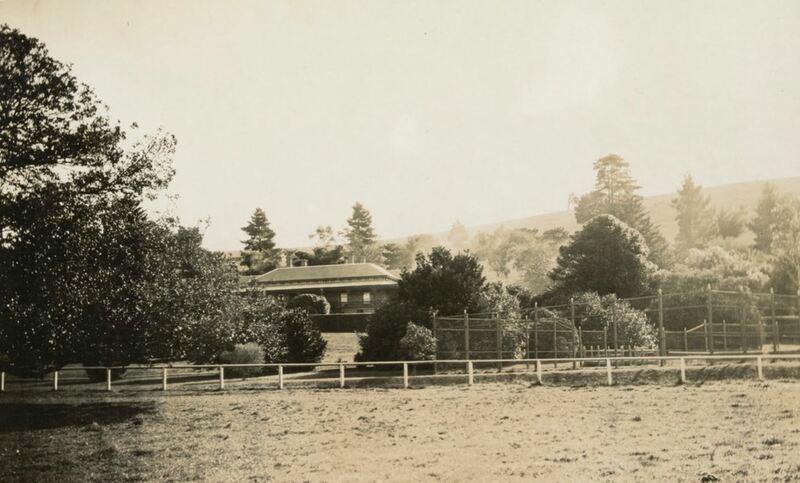 Sarah Hickmer was born at Brighton, Sussex, England and arrived in Adelaide, South Australia with her family in 1851. Sarah then went to Melbourne briefly before going to Mt Gambier. 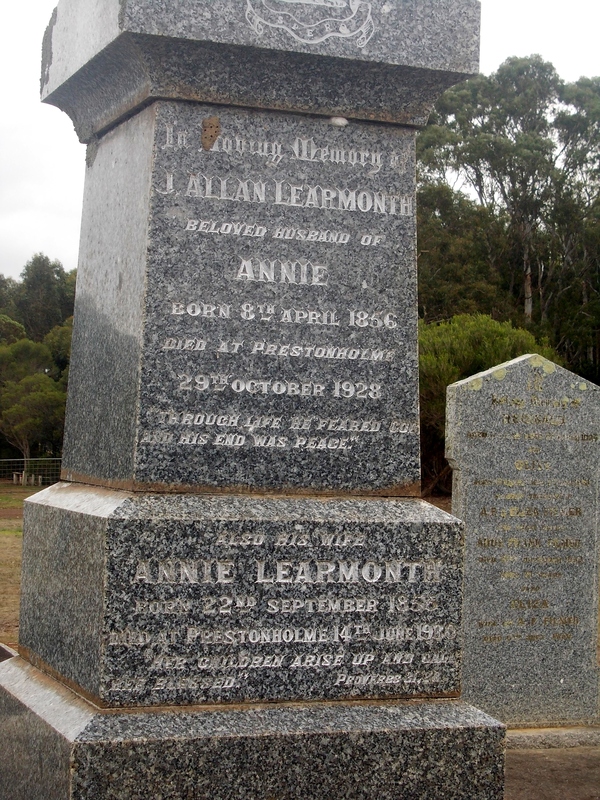 She married Peter Williamson in Victoria in 1853 and around 1866, they took up land at Murphy’s Creek near Yulecart. 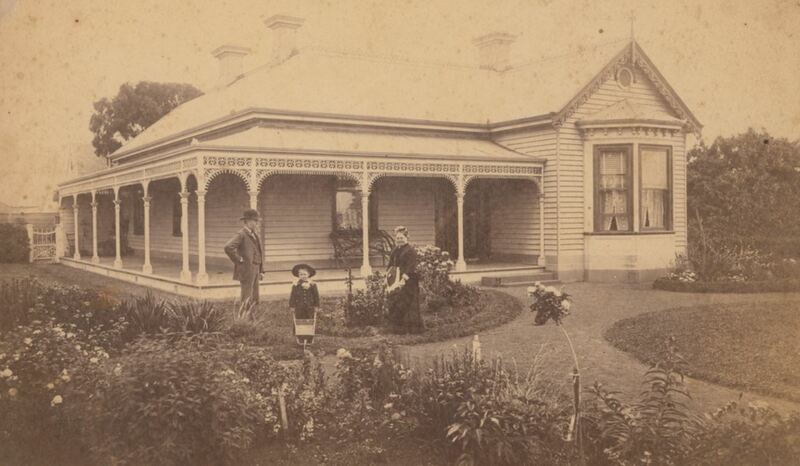 Peter died in 1871 but Sarah stayed on at the property with the help of her sons. 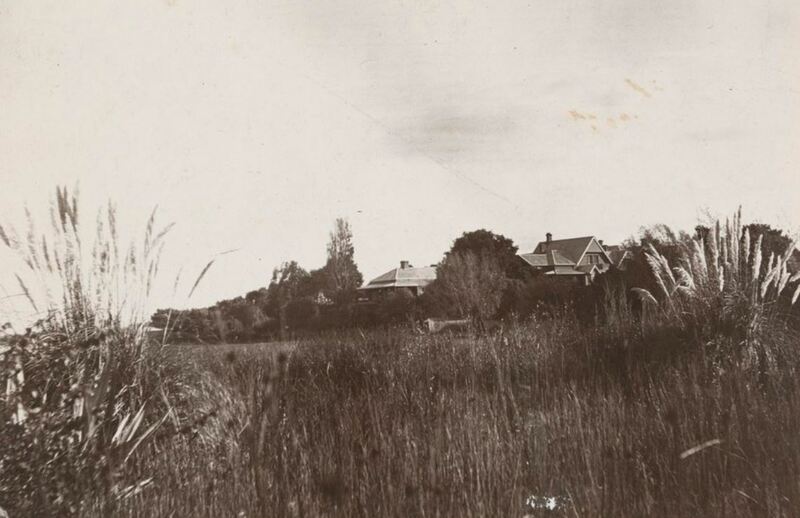 She did have time away in the 1880s when she went with her sons who bought land at Tellangatuk East. She returned to the district and lived with a son at Muddy Creek. Sarah was eighty-nine at the time of her death and still the owner of the property she and Peter bought fifty years before. She left two sons, three daughters, twenty-five grandchildren and twelve great-grandchildren. CAMPBELL, Hugh John Munro – Died 24 October 1921 at St Kilda. 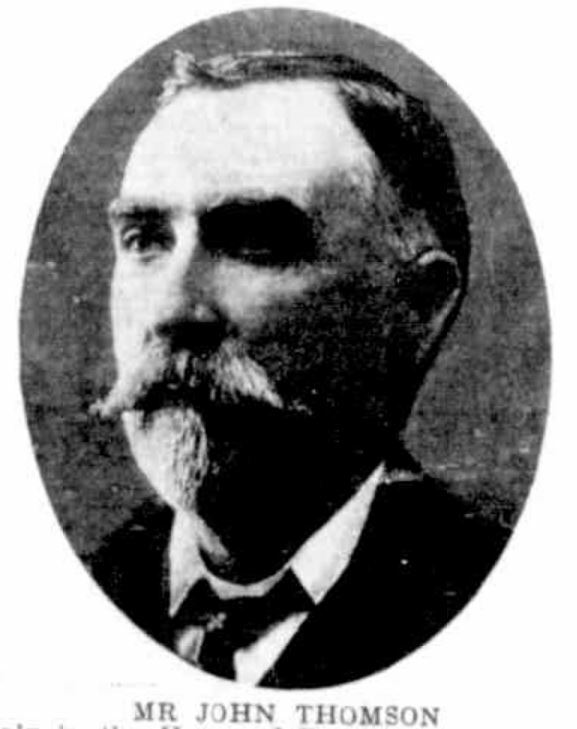 Hugh Campbell was born in 1854 at Melbourne. The Campbells went to Portland in the early 1860s where Hugh’s father was a merchant. Hugh entered the family business at a young age. On 21 January 1880, Hugh married Harriet Jarrett and they went on to have three children. In 1894, Hugh purchased Maretimo at Portland (below). In 1896, Hugh had telegraph lines installed from his business in Julia Street to Maretimo. As well as operating the family business, Hugh also had a bark mill in Percy Street and wool washing works near the town. He was considered a pioneer among shipping merchants in Portland. He was also one of the chief supporters of Scots Church, Portland. In 1906, Hugh entered politics winning the seat of Glenelg in Victoria’s Legislative Assembly. In August 1912, Harriet died aged sixty-three after an illness. Hugh himself was also very ill that year and was in a hospital in Melbourne when Harriet died. He recovered to continue on with his political duties. In 1914, Hugh’s son Sydney James Campbell, a doctor enlisted with the Army Medical Corps at the outbreak of WW1. He died of wounds at Gallipoli on 14 July 1915. Two days later, another son Albert Campbell enlisted. Fortunately, Albert returned home on 16 July 1917 after serving as a Lieutenant with the 29th Battalion. “Portland Mourns” Portland Guardian (Vic. : 1876 – 1953) 24 October 1921: 2 (EVENING.). Web. 24 Oct 2017 <http://nla.gov.au/nla.news-article64024740&gt;. Hugh retained the seat of Glenelg until 1920 when defeated. It was also in 1920 when Hugh married on 9 June to Ethel May Waddell aged forty-one. The following year he tried to win his seat back and was unsuccessful. It was a difficult period for Hugh who fell sick during the campaign of 1921. He improved slightly before the election but his second defeat saw his health fail again leading to his death on 24 October 1921 at the age of sixty-seven. 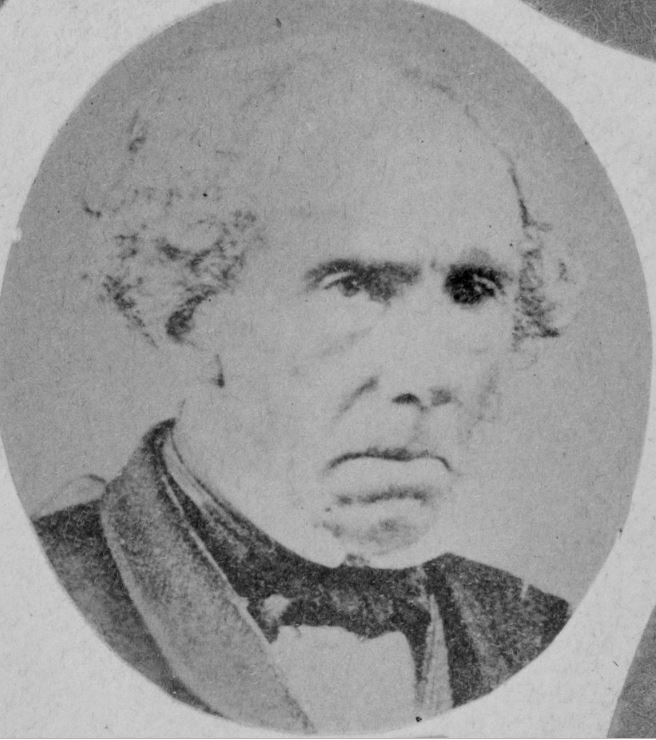 His body was returned to Portland by train for burial. After sixteen months of marriage, Ethel was a widow. Twenty-five years younger than Hugh, she died at Camberwell in 1965 aged eighty-six. HAMILTON, James Charles. 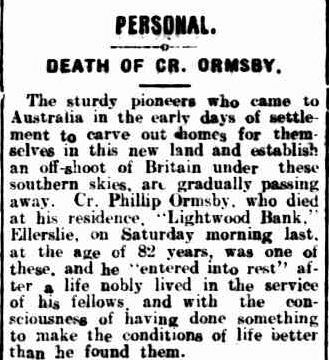 – Died 25 October 1927 at Apsley. James Hamilton was born at Haddington, Scotland in 1836. 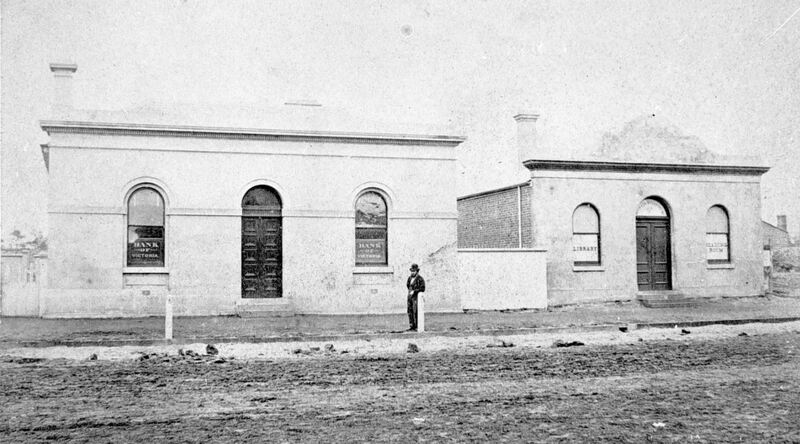 In November 1841, James arrived at Port Melbourne with his parents and three siblings. 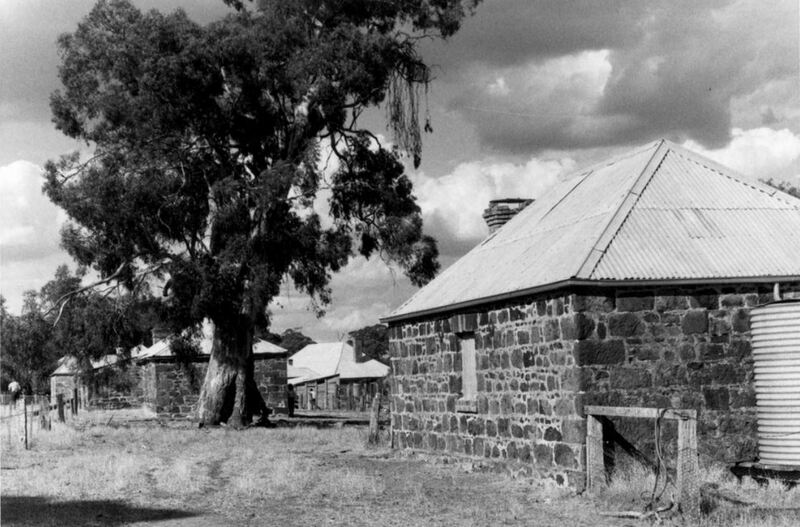 The Hamiltons headed to Kilmore where they remained until 1846. 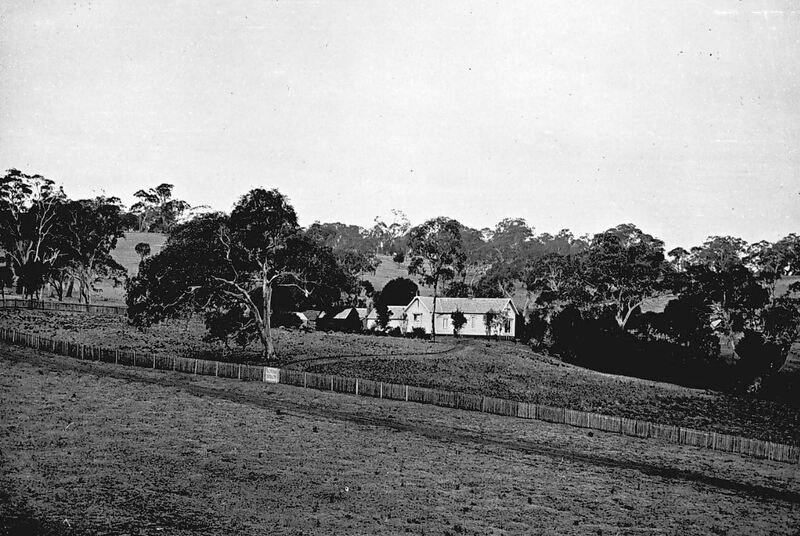 James’ father travelled alone to the west of the colony applying for land to form two stations Bringalbert and Ozenkadnook Stations near Apsley. 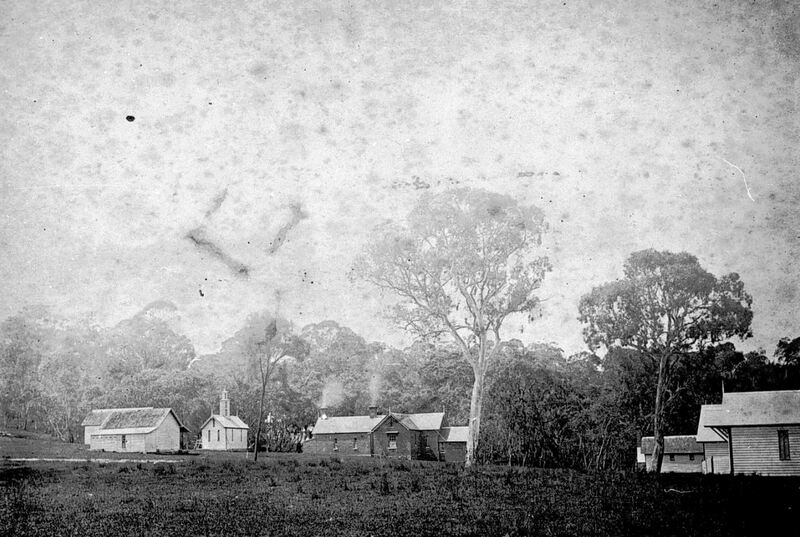 The family set out from Kilmore to join him in late February and arrived at Lake Wallace on 8 May 1846. James’ father lived only another four years. 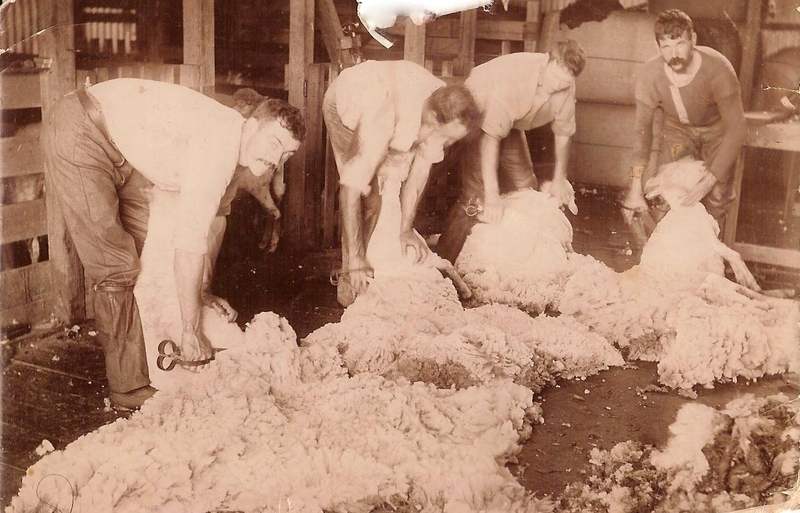 James started driving bullocks at a young age and made trips with his brother to Portland with wool then returning with supplies. 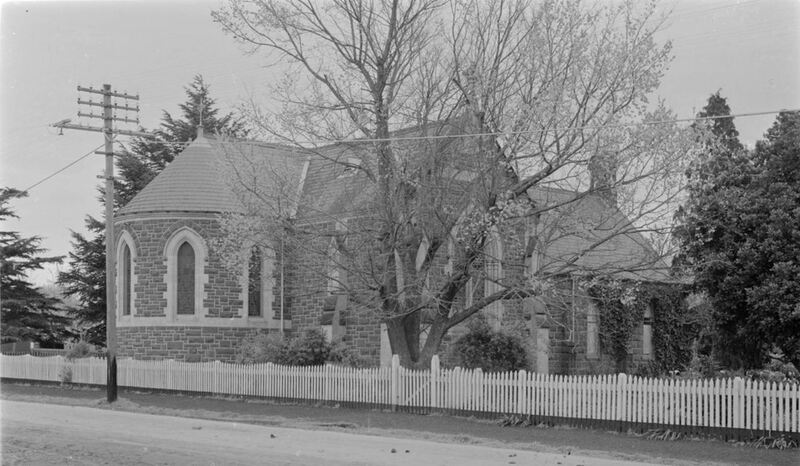 At some point, James was sent to St John’s Church of England Grammar School in Launceston to study surveying On his return, he went to New Zealand with his brothers, with one having bought land there. 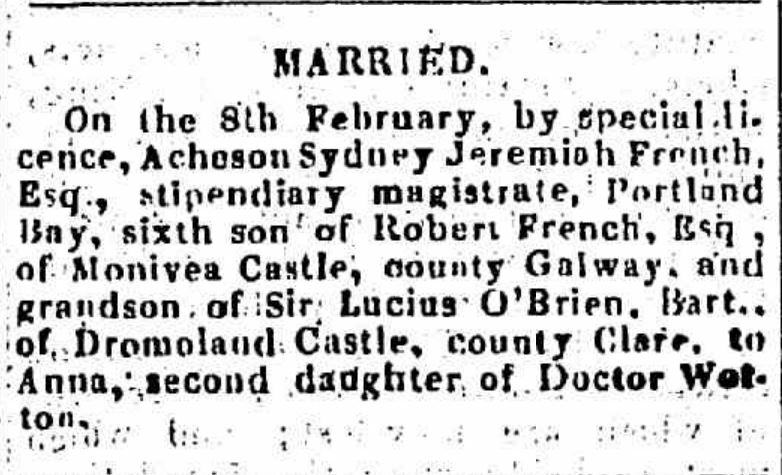 Back in Australia by 1860, James married Eleanor Bax at Robe, South Australia. They returned to settle at Ozenkadnook Station. James acquired other properties, owning up to five at one stage It wasn’t a profitable venture and a tough existence, with drought and poor seasons. By the time he left his last station, James was penniless. Adding to the hardship, during April 1883, James accidentally shot himself in the leg, leading to its amputation. In February 1888, a fire swept through Ozenkadnook. Station hands had to run for their lives and James had to try to escape the fire on his crutches. In 1910, Eleanor died having lived the past fifty years at Ozenkadnook Station. 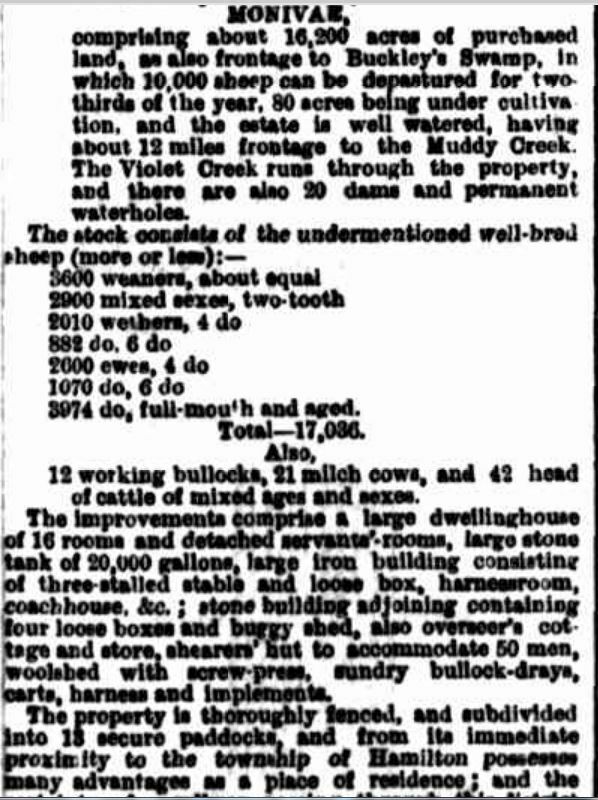 “Crossed the Bar.” Weekly Times (Melbourne, Vic. : 1869 – 1954) 2 July 1910: 24. Web. 24 Oct 2017. 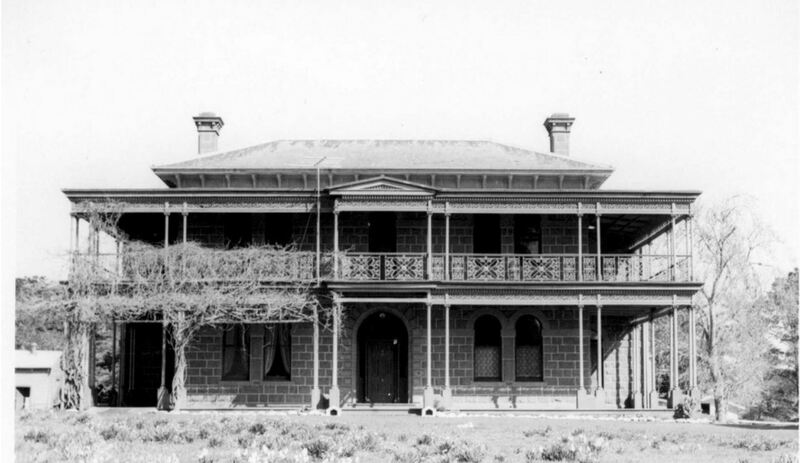 It was after Eleanor’s death, James began writing his memoirs, “Pioneering Days in Western Victoria”. He said in the year after publication it cost him a lot of money but he had sold 2500 copies in the first ten months. The book mentions many Western District names such as Henty, Cooke, Affleck, Edgar, Learmonth, Moffat, Armytage, and Laidlaw and includes James’ memories of stations including Muntham, Merino Downs, Nangeela, Rifle Downs, Gringegolgura, Dunrobin, and Pine Hills. 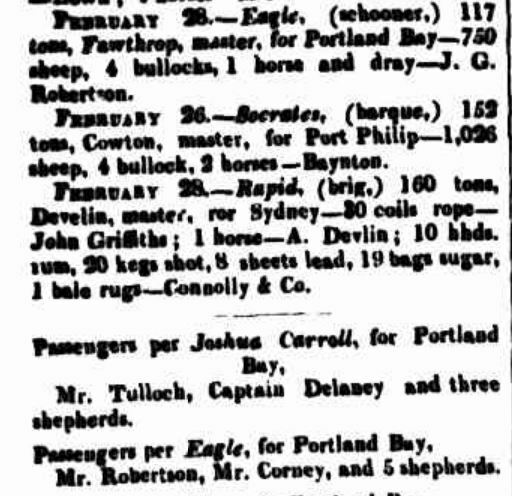 The topics it covers include carting wool to Portland, Black Thursday bushfires, the bushrangers Morgan, Gardiner and Captain Melville, and Cobb and Co. in the 1850s including noted drivers. 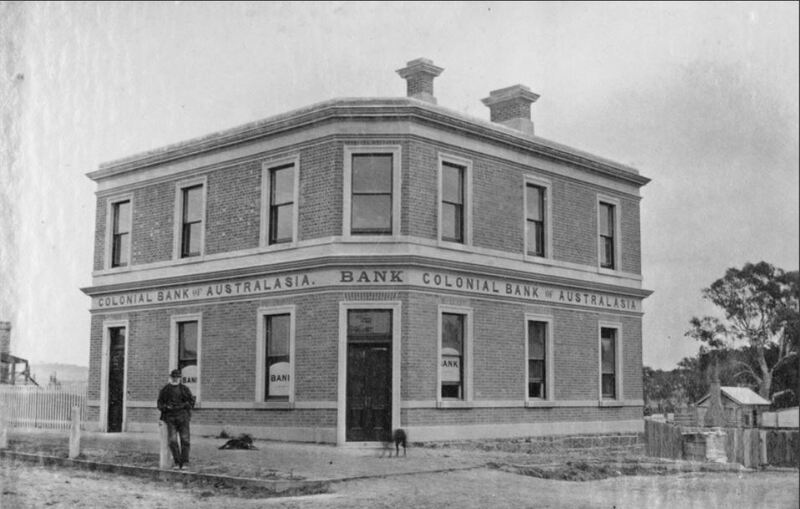 You can read James booking on the link – Pioneering Days in Western Victoria. “PIONEERS OF VICTORIA” Weekly Times (Melbourne, Vic. : 1869 – 1954) 12 July 1924: 10. Web. 24 Oct 2017 . 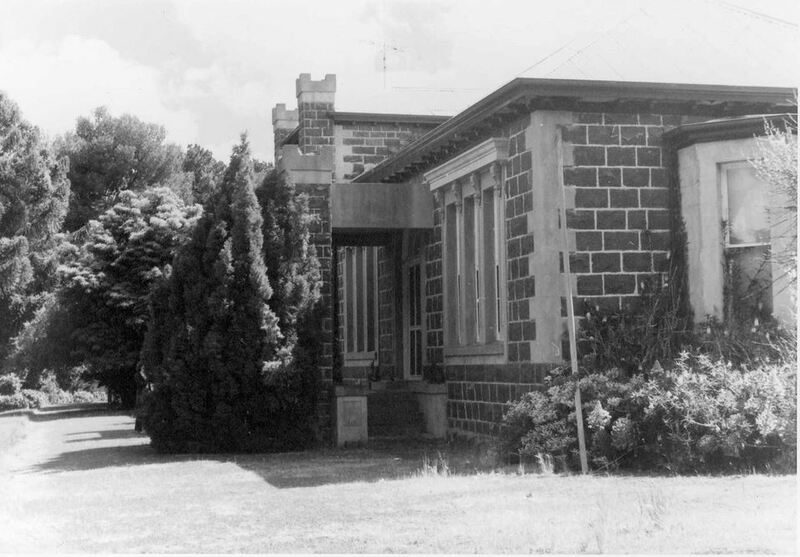 In his later years, James moved to Apsley and in 1924, it was reported he was compiling another book “The Civilisation and Occupation of Western Victoria” although it seems it was never finished. James’ also published another edition of his earlier book in 1923. In 1925, the Weekly Times published the book in a series. James died at his son’s home at Apsley, aged ninety-two. He also had one daughter still surviving. SATCHWELL, Adeline Eliza – Died 7 October 1943 at Darlington. No one has known the Elephant Bridge Hotel like Adeline Satchwell. Adeline, known as Ada, was born at the hotel on 9 February 1861 to John Satchwell and Mary Ann Hudson. Her father, a hot-tempered man, had only recently taken up the license on the hotel. When Adeline was just two months old, her father went in a fit of “temporary insanity” and locked his wife Mary-Ann in her room and tried to set her alight. She managed to climb out a window to safety. Where Adeline was during that time is unknown. Eventually, a trooper arrived and in his presence, John Satchwell killed himself. He was thirty-four. 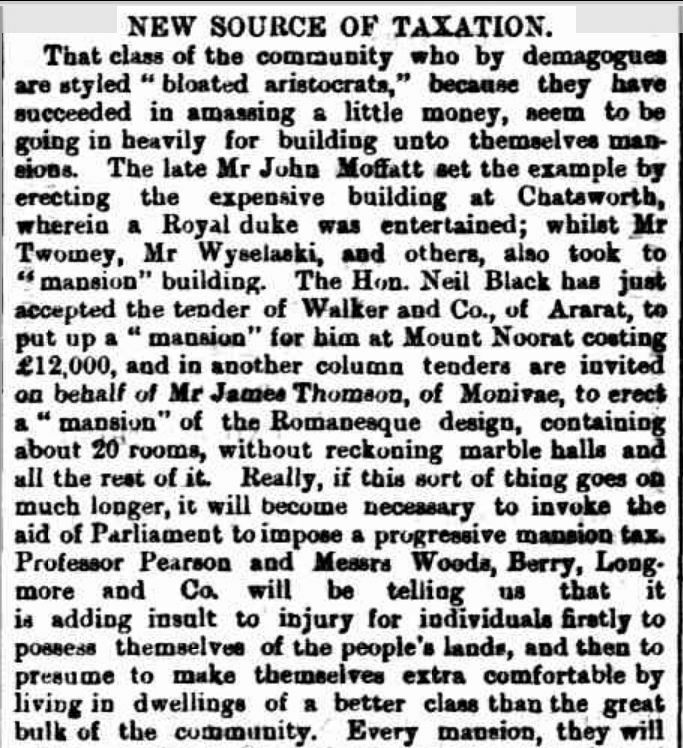 A full report of the incident was published in The Argus on 2 May 1861. Only weeks earlier, a letter of complaint was sent to the Geelong Advertiser complaining of John Satchwell’s rudeness and insulting manner. 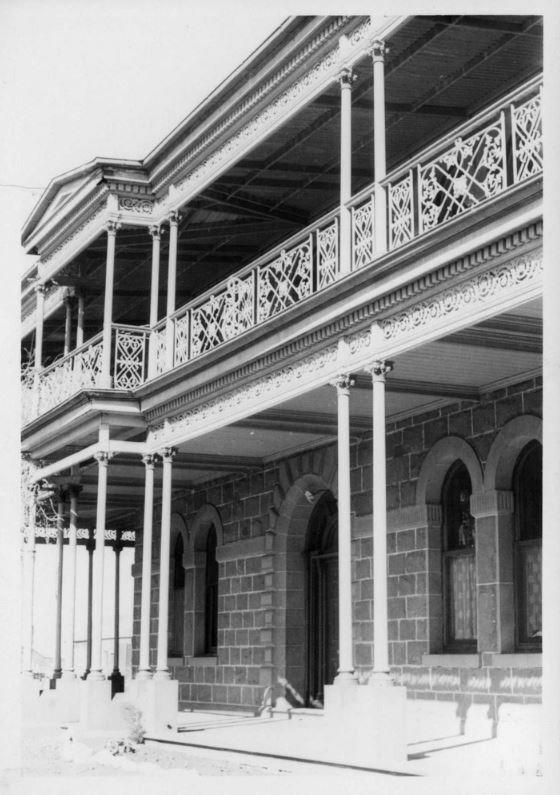 Mary-Ann continued running the hotel and remarried in 1876 to John Eales. Adeline continued on at the hotel. 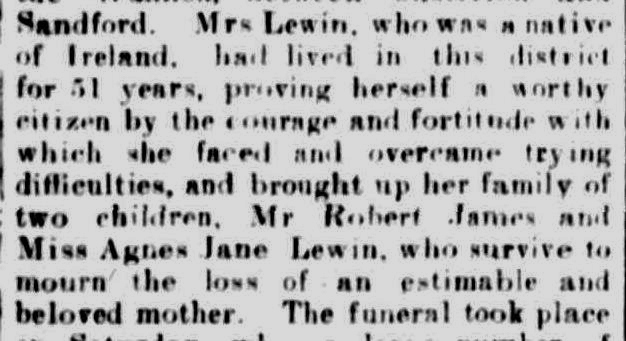 In 1895, she married widower Joseph Gellie who had ten children from eighteen to seven. He and Adeline would have a further three, two sons and a daughter. When interviewed in 1937, Adeline said the road wasn’t as busy at it was when she was a girl. 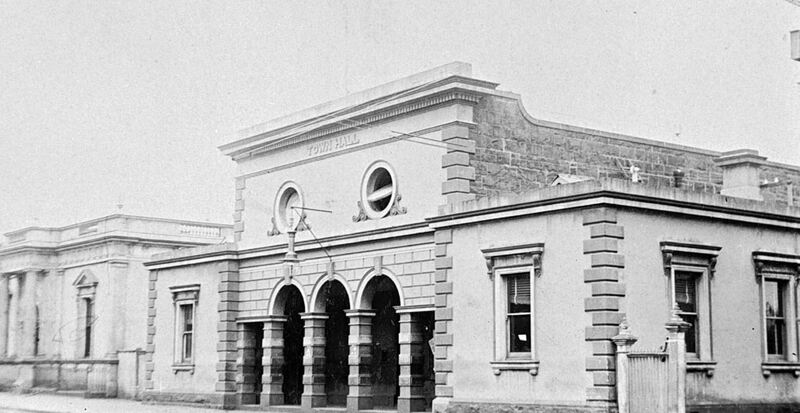 Then the hotel was the coach changing station and “meeting place of waggons and travellers up from Warrnambool to the great stations of the Camperdown-Terang area”. 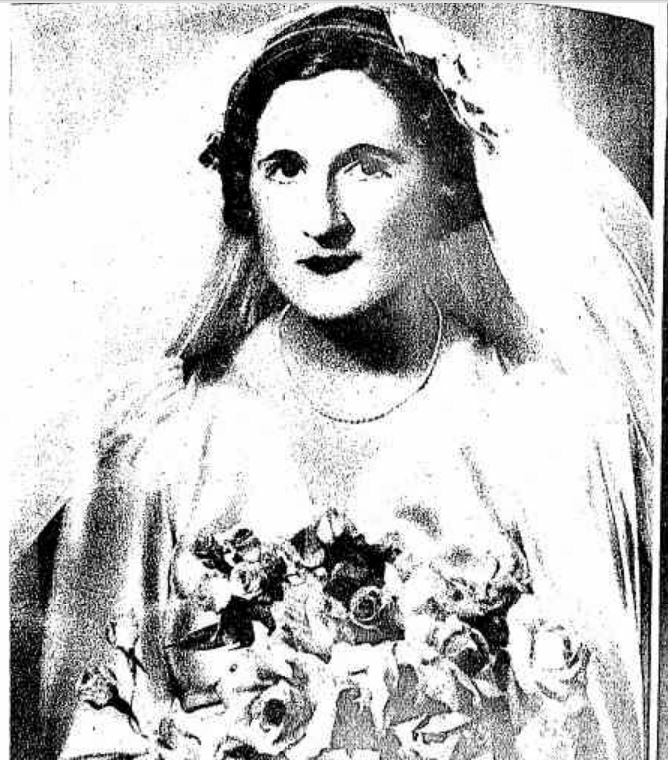 One of her bachelor sons, Claude McLeod helped his mother at the hotel. 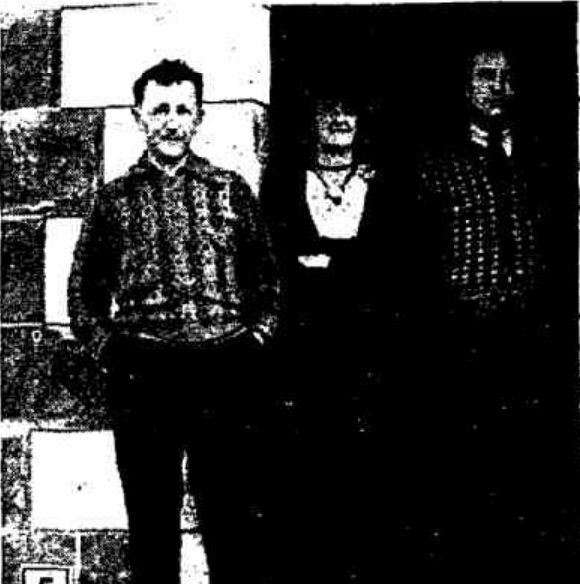 Adeline is pictured below with Claude and another son Garnett. 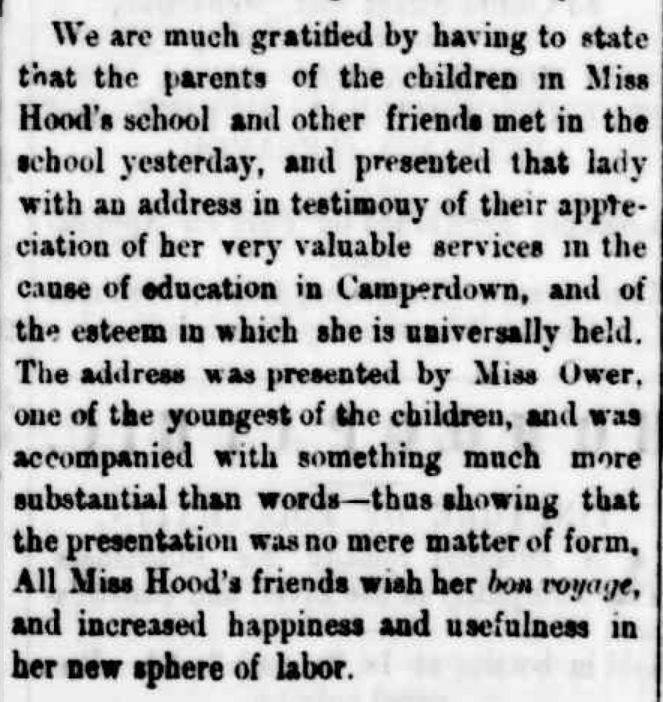 “The children indicated by circles will each be presented with a Weekly Times pencil.” Weekly Times (Melbourne, Vic. : 1869 – 1954) 2 January 1937: 31 (FIRST EDITION). Web. 26 Oct 2017 <http://nla.gov.au/nla.news-article223897391&gt;. On 9 February 1939, Adeline celebrated her fiftieth year as a publican and it was also her seventy-eighth birthday. 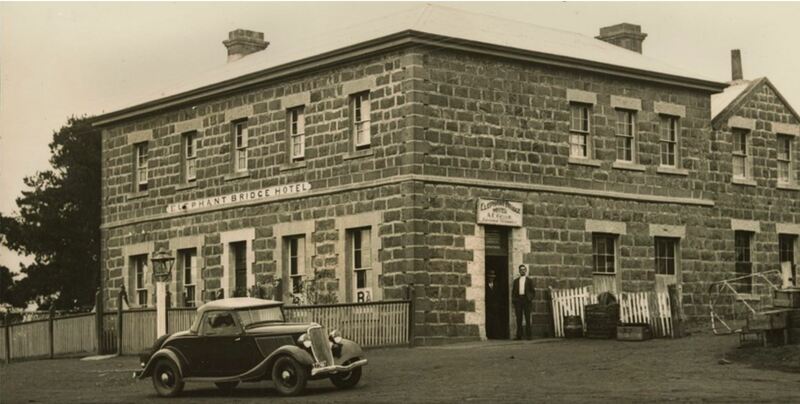 She was the only publican in Australia to hold a license in one hotel for the longest consecutive time. Adeline died in October 1943 at the place she was born. She was buried at the nearby Darlington Cemetery. Adeline left four sons and three daughters. Her son Claude McLeod died only two years after Adeline on 25 March 1945. The Elephant Bridge Hotel was put up for sale in 1946. Apparently Adeline still “frequents” the hotel along with a couple of other ghosts, including a man in his thirties…the age of Adeline’s father at the time of his death. 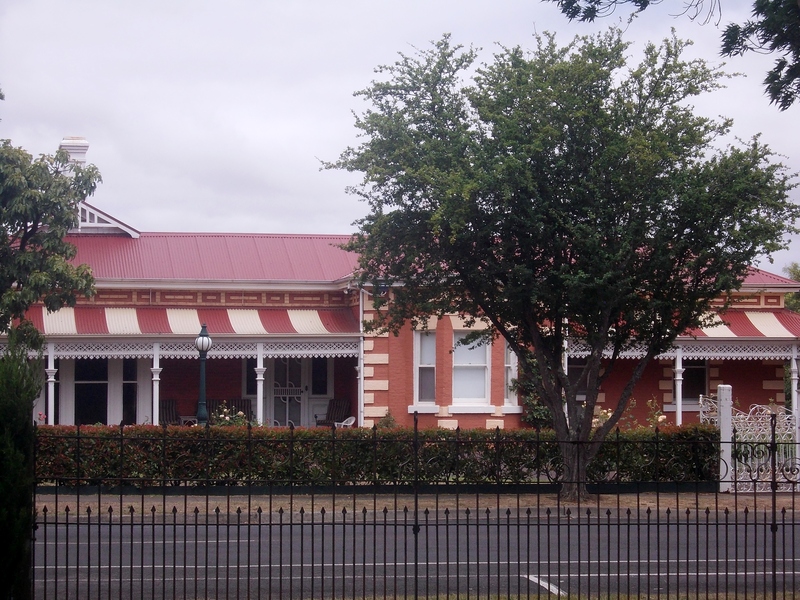 The Elephant Bridge Hotel is often named among Australia’s haunted pubs. CAMERON, John – Died 17 October 1947 at Natimuk. John Cameron was born at Byaduk around 1871 and became a dairy farmer. He was involved with founding the Condah Butter Factory and was the factory’s first secretary. 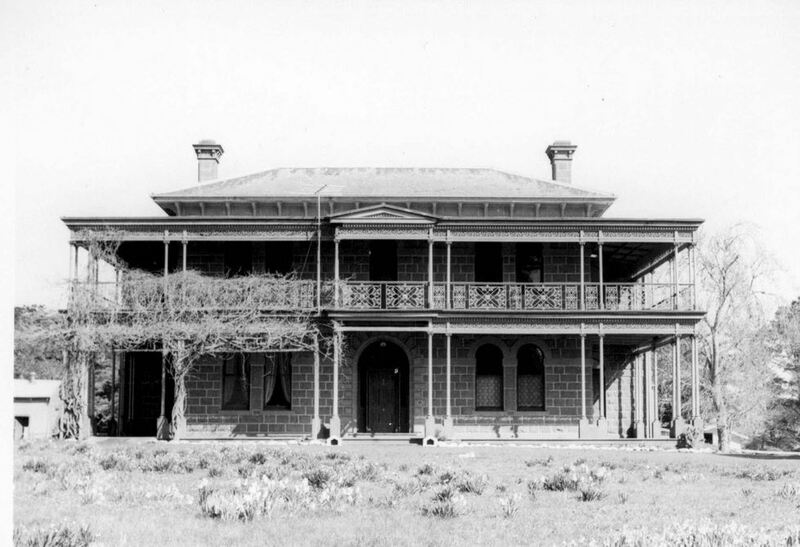 In 1907, John put his Condah property up for lease and went to Queensland with his brother, selecting land at Darling Downs. 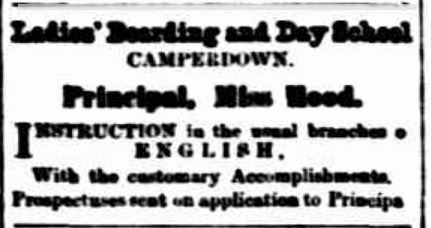 It was a time many from the district were moving to that state, at the time described by the Hamilton Spectator as a “Queensland exodus”. John eventually returned to Condah and married Mary Amelia “Milly” Cameron of Condah on 9 June 1910 and a very fancy wedding it was. 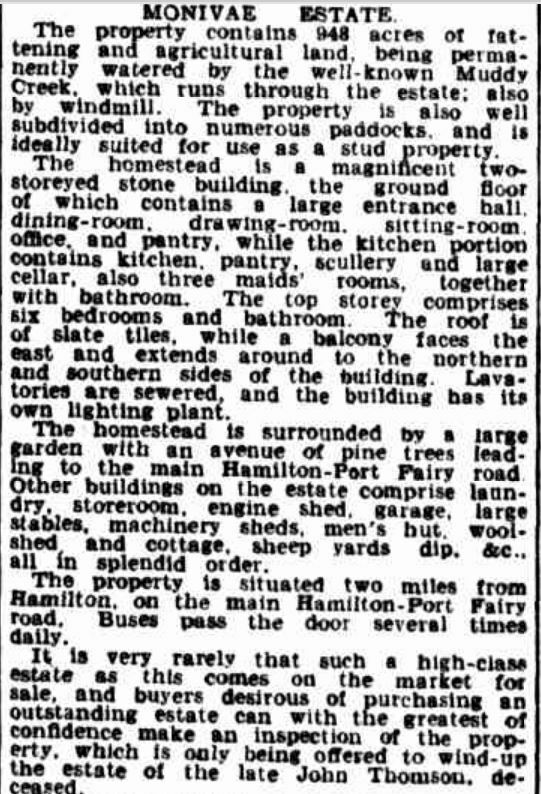 The wedding report in the Hamilton Spectator mentioned within John Cameron’s family, for five or six generations, the Cameron men had all married women with the same surname. 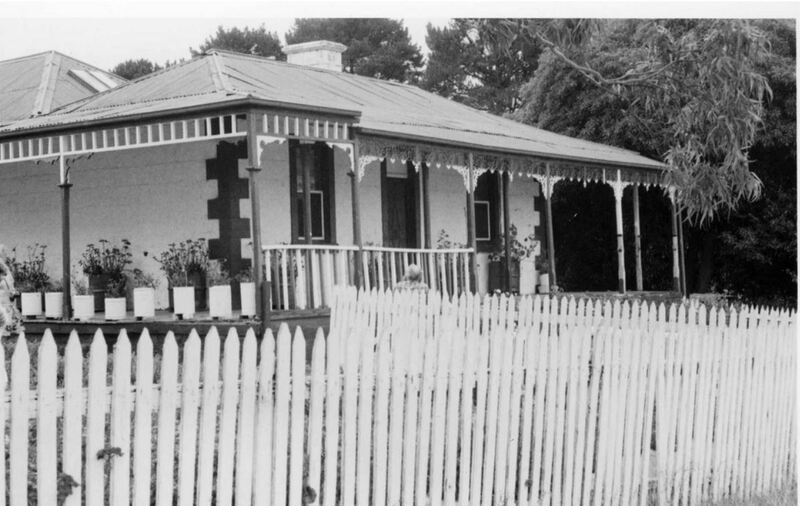 Around 1916, John bought the farm of Louis Oliver, a Byaduk born man who moved to the Wimmera. Located at Duchembegarra, north of Natimuk, the property was named Caringal. John was soon well-known in the district and became President of the Presbyterian Church. John and Millie Cameron had one son and four daughters. 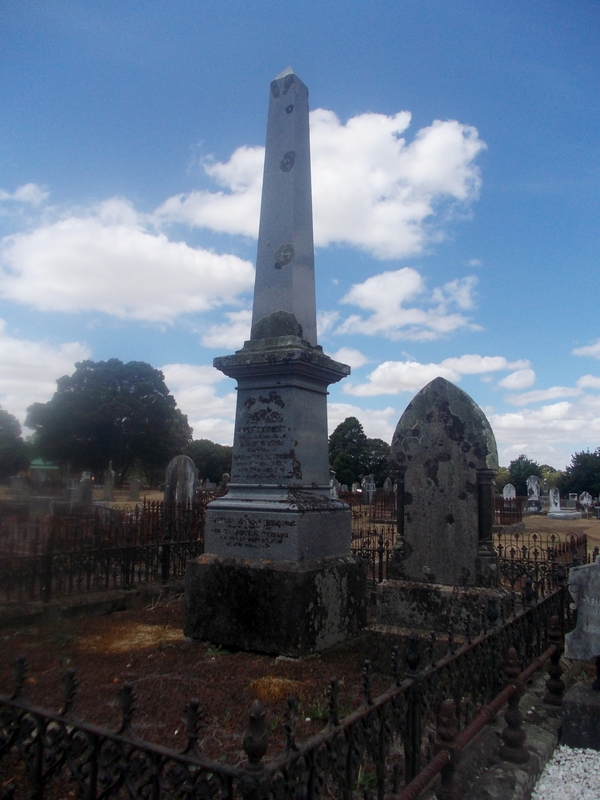 John Cameron died on 17 October 1947 at the age of seventy-six and was buried at the Natimuk Cemetery. Milly died three years later aged sixty-three.